The time series shows net revenue of Amazon.com in selected leading markets from 2014 to 2018. In 2018, Amazon's total consolidated net revenue including AWS sales in the United States amounted to 160.15 billion U.S. dollars. 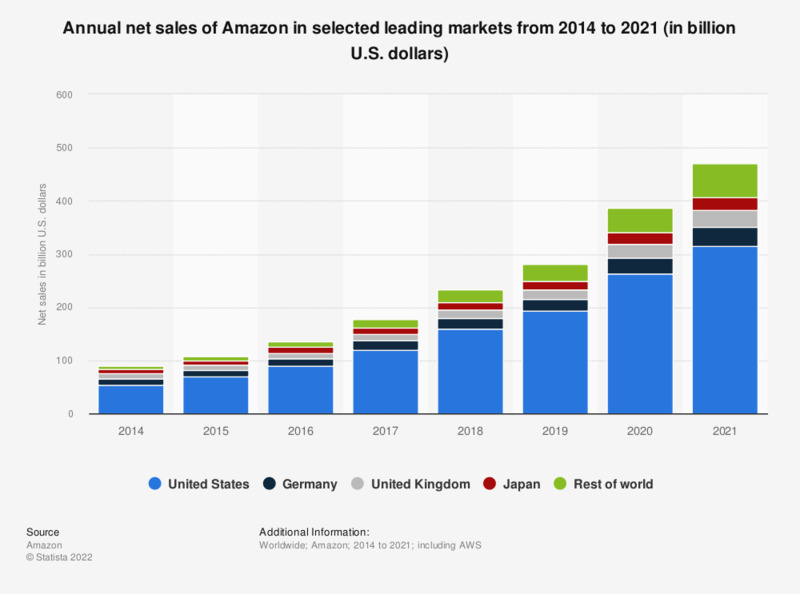 That year, Germany was Amazon's second-largest market with 19.88 billion U.S. dollars in net sales revenues.